Vital for healthy brain structure. 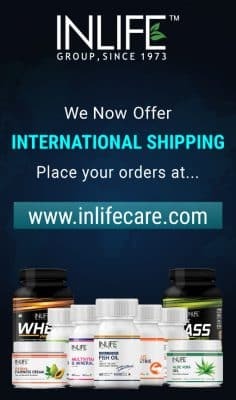 Safe for pregnant & lactating mothers. Aids in brain development of fetus. 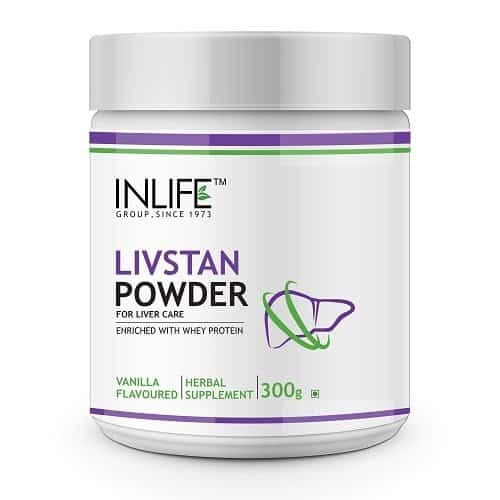 Supports healthy heart functioning. 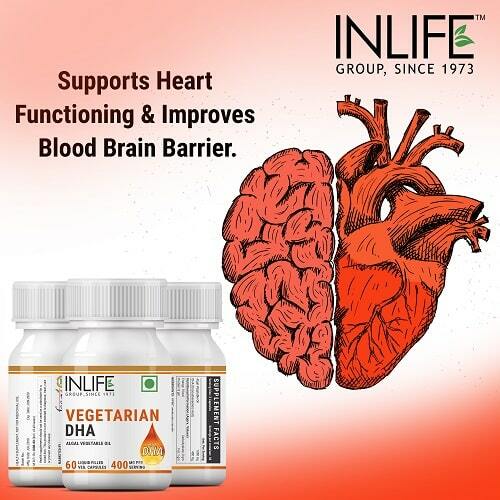 Promotes blood flow to brain. Are You Confused? Ask Our Nutrition Expert? DHA is an important supplement for pregnant women. Several research studies have proven that when a DHA supplement is taken during pregnancy and postpartum, it plays an important role in the healthy development of the infant brain along with improved visual and cognitive ability. 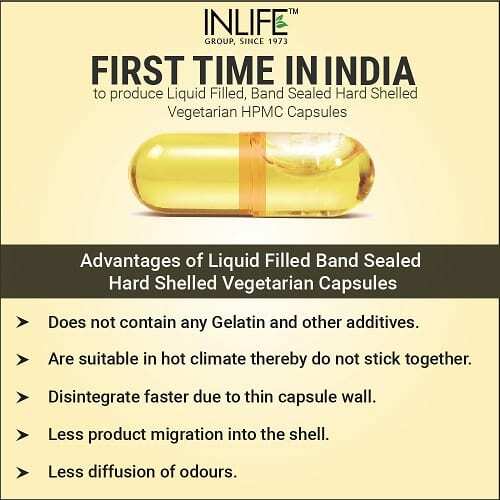 INLIFE Vegetarian DHA capsule consists of 1000 mg of algal oil and 400 mg of DHA. Suggested Dosage – 1 capsule twice a day after or with meals or as suggested by your healthcare professional. Algal Oil is usually derived from algae. It is the richest source of DHA which has 97% omega 3 in a form which is required by the brain. Algae is mainly grown in farms and kept clean, free of any pollution or unhygienic water. Thus, the algae used to extract oil from it is clean and of high quality. Fishes are known to be the richest sources of DHA. But, the fact is, fishes acquire their DHA from the algae which they consume via the food chain. 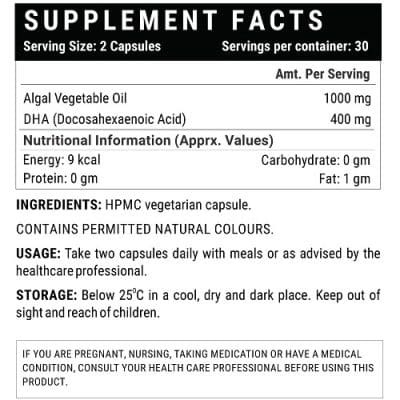 Hence, DHA derived from algal oil is more sustainable than from fish oil. Why DHA and ALGAL Oil is consumed together? Absorption of DHA improves by 90% when mixed with algal oil. Omega 3 is divided into EPA and DHA which are responsible for overall health and development of pregnant women, infants and also adults. 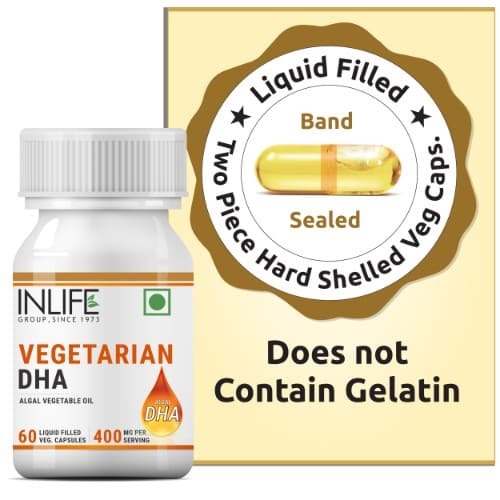 INLIFE Vegetarian DHA capsules are enriched with a high concentration of DHA which helps to fulfil the requirement of pregnant women who is getting depleted in the same. 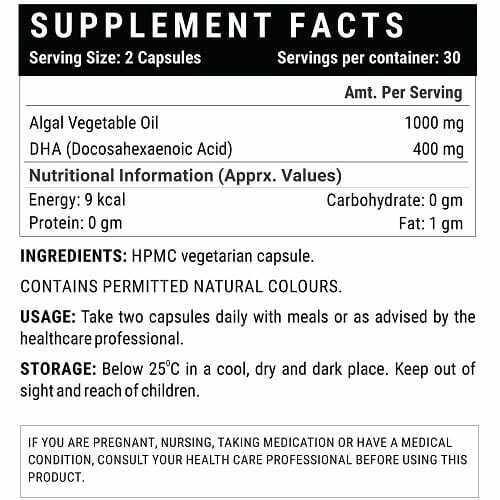 DHA is something which cannot be obtained by an infant and hence mother is the only source of DHA. Thus, the baby obtains its required amount of DHA while in the mother’s womb, and later while being breastfed. 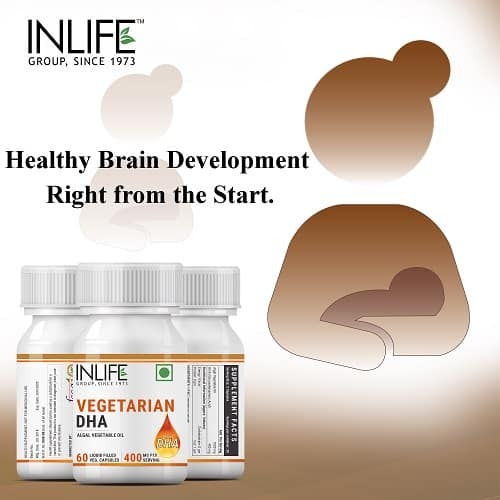 DHA supports the development of the brain, eyes, and central nervous system of the foetus. Infant’s motor skills, their eye and hand coordination play a crucial role in their development which can be improved if the mother’s diet is rich in DHA. It has also been proven that if a mother is taking DHA supplement, the attention span of the infant has seen to be increased. Apart from pregnant and lactating women, DHA also plays a very important role in an adult’s life. 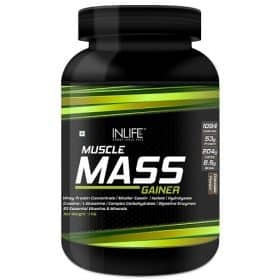 It aids in improving concentration, attention span, boosts memory power and so on. 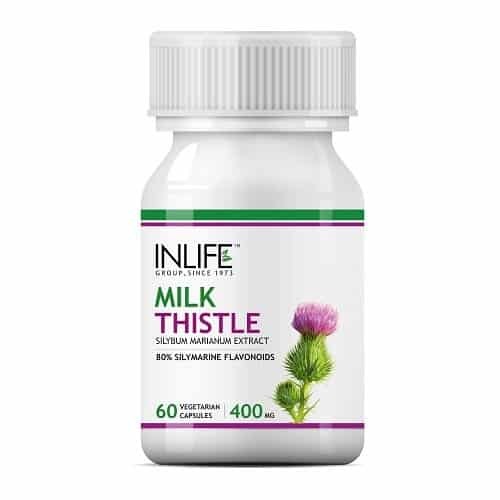 It also aids in healthy heart functioning by reducing the arterial wall thickness and reducing plaque. How is DHA helpful for Brain? 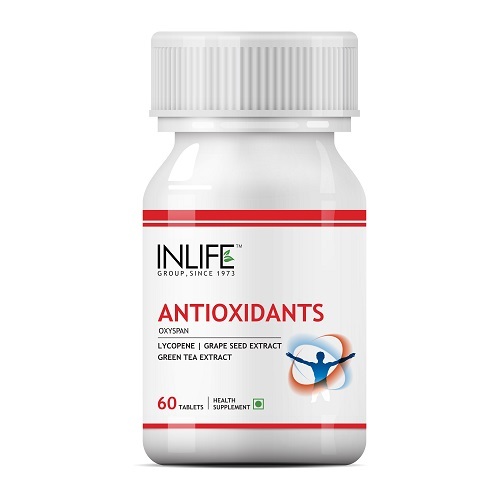 DHA is a form of structural fat which contributes approximately 30% in the grey matter of the brain cells. DHA has a possible role to play in several behavioural and mood disorders which often affect both children and adults. How is DHA helpful for Eye health? DHA acts as a major structural fat in the retina of the eyes of both infant and adult. It helps in the visual functioning and development throughout the life of an individual. Hence, it is vital for the maintenance of a normal clear vision. 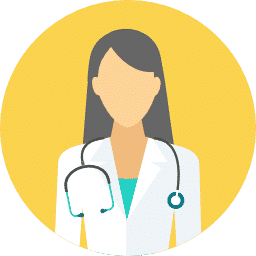 How is DHA Helpful in Heart Health? 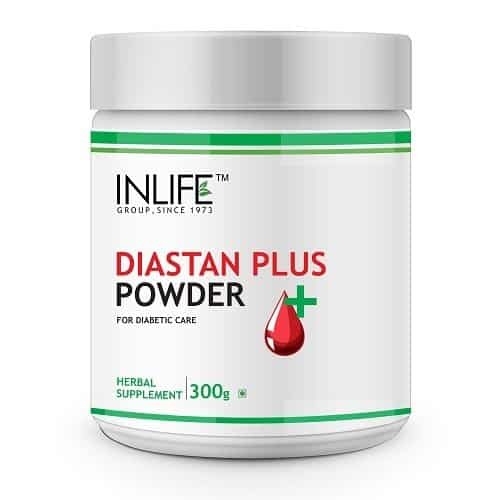 DHA is important for maintaining normal triglyceride levels, heart rate and blood pressure as it is a key component for healthy heart functioning. 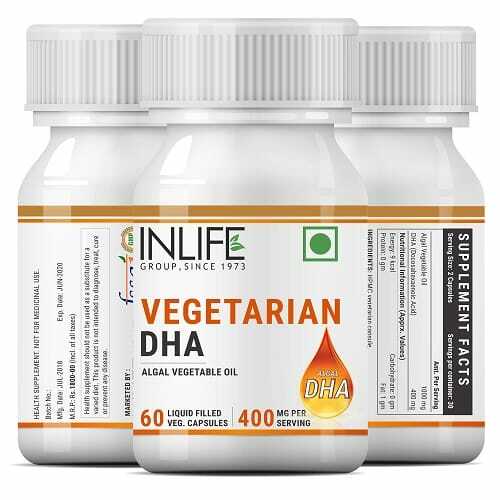 Therefore, DHA is an essential health supplement for everyone to maintain good health. INLIFE Vegetarian DHA capsules are ideal for all vegetarians who find it difficult to fulfil their DHA requirements through their diet. 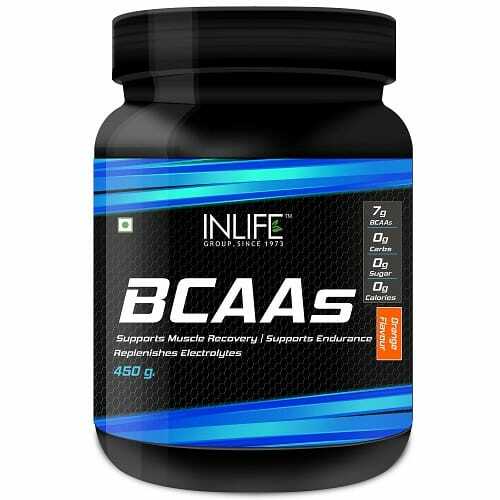 Aids in healthy heart functioning – NICE..
very well working for of the brain&eyes. 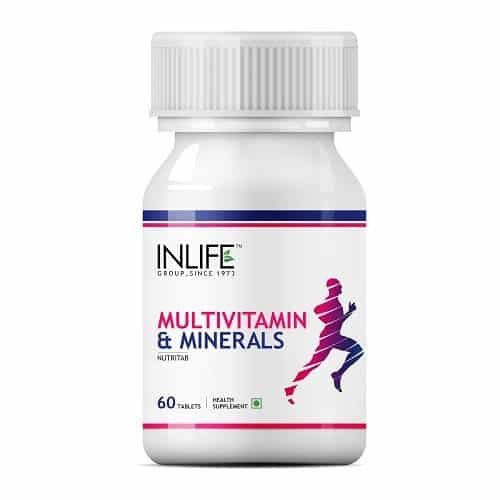 Boosts cognitive function, memory, and focus – Great product….. 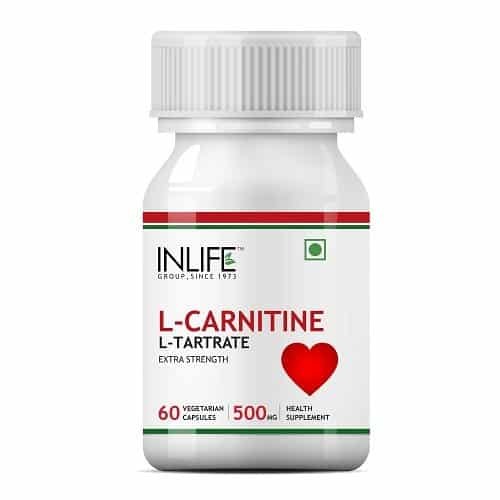 It helped me in maintaining normal triglyceride levels, heart rate and for healthy heart functioning. I took them for improving my memory and seen improvement and satisfied with the results.